Are you thinking of a country to do business in? You should definitely consider the stable, safe and progressive Czech Republic with constantly growing positions on the international arena. Here are the reasons why. The Czech Republic is a small country in the very centre of Europe that guarantees excellent transport access to anywhere in the world. The Prague airport, unlike the largest European ones, is situated on the outskirts of the capital, in 20 minutes by car. 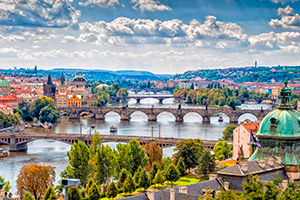 To learn more about the location of the Czech Republic in Europe click here. The Czech Republic is a part of the Schengen area, is a member of the European Union and The European Free Trade Association (EFTA). The economy of the Czech Republic is stable, and has been growing ever since the country joined the EU in 2004. It has one of the three most rapidly growing economies in Europe, along with Slovenia and Ireland. The annual increase reaches 6.5%. The unemployment rate falls every year, in Prague it is currently tending to zero. 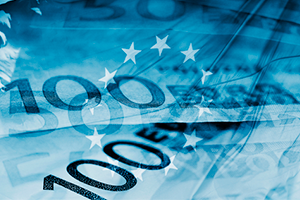 The strong currency – koruna is to be replaced by the euro in the foreseeable future. This will guarantee the Republic access to the euro area, will release local banks from the additional payments, and will allow the free settlement in business and leisure. 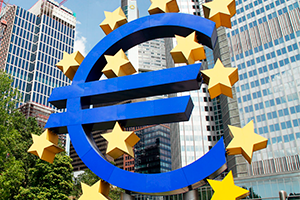 To date, the Czech Republic has fulfilled all the criteria for the adoption of the euro. The Union of Trade and Transport of the Republic announced that the plan for switching to the euro is the main priority of the country in 2017. To learn more about the Czech currency and the plans on the euro adoption browse here. 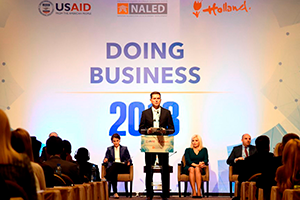 For the last 6 years the Czech Republic has been growing in positions in the international rating “Doing Business”, conducted by the World Bank which researches the conditions of performing business in different countries. It reached 27th place in 2017 by all criteria, and 13th one in the aspect of doing international business, leaving even Great Britain behind. Click here to get more details about positions of the Czech Republic in the Doing Business rating. To understand how reasonable the Czech taxing system is, one can at least refer to the most popular researches. 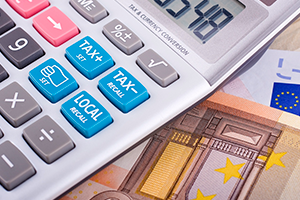 Due to the study conducted by the PricewaterhouseCoopers company, the Czech Republic is one of the least expensive countries from the point of the taxation not just in the European union, but in the whole world. Effective taxation of an entrepreneur is usually under the level of 10%. To compare, this percent in Germany equals 30%. The Czech Republic takes 19th place among the European countries in the rating of the high tax cost; the business tax here is 19%. The Republic stands right between western and eastern countries. The comparison table of the taxing can be found here. In the international rating of the danger of living Prague gained 28 points (Vienna – 20, Rio de Janeiro – 89), which allows it to be one of the thirty most safe cities in the world. The quantity of the serious crimes: 0.9 per 100 000 people (Russia – 9, USA – 3.4). The Czech Republic took the first place in the international HSBC Expat rating which consists of the foreigners’ assessments of living in a certain country based on different criteria: economy, brightness of the living experiment, family. The variety of parameters is included to this research: from the quality of the cultural live to how local people treat expats, from the level of the health care to the quality of education. To read more about the quality of living in the Republic press here. If any further questions occur, we will gladly assist you with them.